What's very fresh and good value? We normally have over 50 types of top-quality fresh fish and shellfish available at any time. We are about to get our first batch through the moment the water warms up a bit. We have an excellent and unlimited supply caught using New Wave fishheads! In local rivers and spring-fed lakes. They make a superb stock or bisque and are great for presentation. 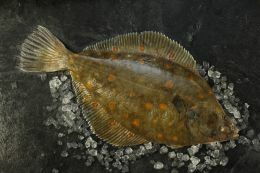 The ultimate prime flatfish, we buy wild fish usually from Looe or Plymouth, and sometimes Shetland. We would normally buy 2–3kg and 3kg+ fish, but when they're expensive we just buy to order, so please speak to the sales team for availability. 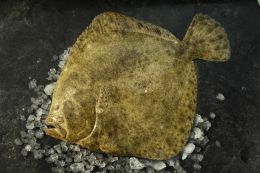 Farmed turbot are also available, farmed in Norway and coming through to us in usually the 2–3kg size; other grades to order. We have a fabulous contact on the west coast of Scotland, who specialises in live creel-caught specimens which are then transported to New Wave and to you in 'tube' boxes. These need to be pre-ordered by Tuesday for a Thursday morning delivery. We are also bringing down the cheaper fresh 'dipped' langoustines to order. 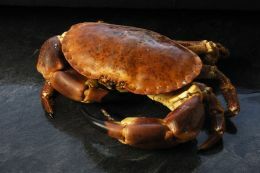 We buy stunning large, pot-caught live crabs nearly every day from Paignton or Brixham, normally 1–2kg or 2kg+ and full of meat! We stock several qualities of white crabmeat, the very finest being the freshly handpicked premium chunky crabmeat from Devon. We also carry a decent, less expensive pasteurised version. If you're looking for something cheaper yet, we have the Asian long date blue swimmer crabmeat. We also have a superb pasteurised brown crabmeat from Devon. We normally stock only pasteurised dressed crabs, but can supply a premium hand-dressed crab to order. 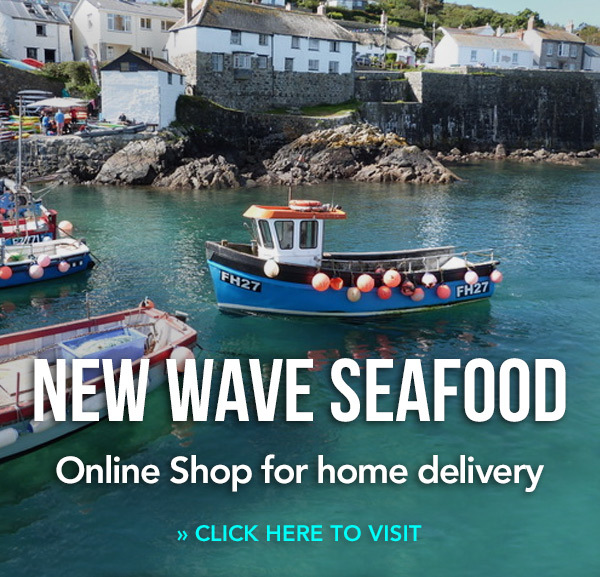 We normally buy medium fish of 1.5–2kg or the larger fish of 2kg+ on an almost daily basis, preferably dayboat-caught, always from Devon or Cornwall. Please speak to the sales team on this as prices tend to fluctuate. Squid can fluctuate massively in price, from very reasonable to absurdly expensive. 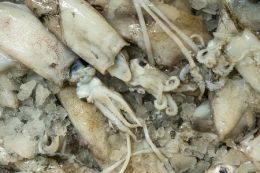 We will generally have fresh squid every day, but when over-priced we recommend our frozen cleaned baby squid tubes with tentacles packed back into the tubes. This is a great product, very tender, and a fraction of the price of fresh squid. 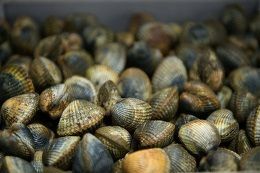 We have a range of fresh scallops subject to weather and availability: diver-caught in their shell where possible, Looe half-shell scallops, Scottish meat or the American roeless scallops – take your pick! 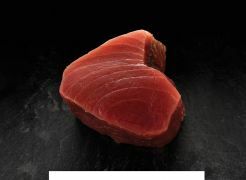 We buy yellowfin tuna from Sri Lanka – superb red sashimi grade, perfect for eating raw or searing for rare steaks. We can also cut steaks for you to order. Swordfish comes to us in large, chunky 2–3kg loins, normally from Sri Lanka, where it is pole-caught. We can supply loins or freshly cut steaks to order. 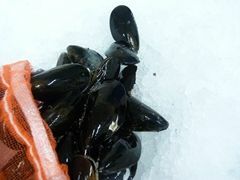 Mussels are rope-grown and currently coming down several days a week from the clean waters of the Shetland Islands. Available in 1kg, 2kg or 5kg nets. 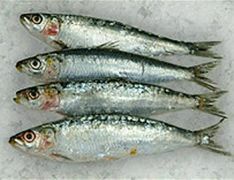 We buy the superb MSC-approved, ring-net caught sardines from Cornwall whenever they are available. We can supply these either whole, scaled and gutted or butterflied to order. We have razor clams fairly regularly and will buy diver-caught from Scotland or Cornwall wherever possible. If there are none in the UK, we buy the smaller French ones. We are buying spanking whole dayboat-caught cod from either Shetland or Cornwall. We buy only A1 quality and do all the prepwork ourselves from scratch. We have 4-8kg fish generally, from which we can produce scaled fillets or chunky portions. 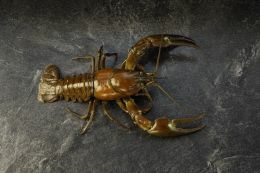 Native lobsters are finally starting to come down in price, which is good news and means we can start to move away from the Canadian species. 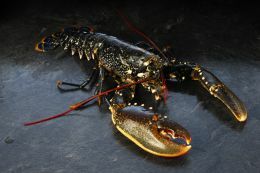 We have seawater tanks at our depot and can supply lobsters nearly every day. Lovely tasty oysters from Mercia Island near Colchester. These are a really lovely and consistent product and come from Grade A waters with full certification. 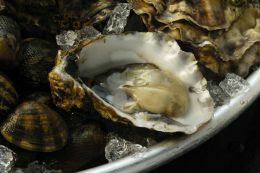 Native oysters are now out of season until September. Dover sole prices can vary tremendously. We generally buy fish ranging from 300–600g, but can get you other sizes to order. We would normally buy these on Looe or Plymouth markets. 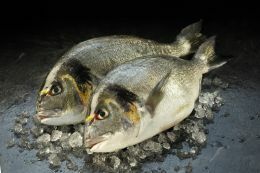 Gilthead bream, with its firm flesh, is now a really popular fish and is available from New Wave in 3 sizes: 300–400g (a small whole portion); 400–600g (a medium fish); or 600–800g (a relatively large fish, suitable for filleting). It has a great shelf life. Absolutely superb MSC approved haddock, bought on the Shetland market each day. We buy all sizes, from 500g–2kg fish. A 600-800g fish will yield 2 x 170g main-course portions. You will not find finer haddocks anywhere – guaranteed! We buy hake daily on either the Cornish or Scottish markets. We nearly always have the 2–3kg and 3-4kg sizes. It is generally abundant and massively increasing in popularity, and after getting the thumbs-up from the MSC it looks like this will continue to be popular. We can also cut fresh portions as required. 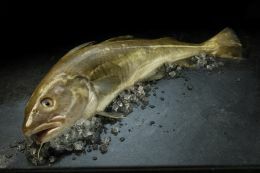 Please see the article on hake. Halibut is farmed and from Norway. 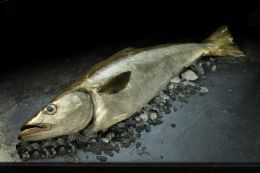 The fish tend to be 3–5kg, spanking quality and ideal for cutting into chunky portions. We tend to avoid wild halibut, as there are sustainability issues. We love a good dory and buy these from the south coast most days. We are generally buying small fish under 500g and have been running these on special, but we are also able to get you much larger fish to order. Please note that the large fish are making big money currently! We buy lemon sole every day either from Looe, which is our first choice, or from small boats that land at the Plymouth market. 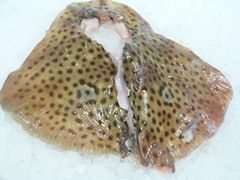 We would normally always have lemon soles between 330g and 500g, and can skin and trim as required. We have Bibury Trout Farm on our doorstep and collect portion-sized rainbow trout every day. 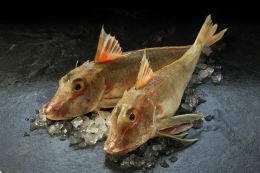 These are a great product – superbly fresh and with a good local name that can enhance your menu. We can also source brown trout to order. 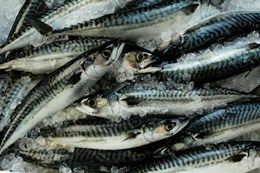 We buy mackerel virtually every day subject to availability, usually from Cornwall or Devon. We can gut or fillet and V-bone as required. 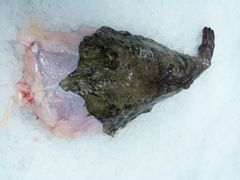 We buy top-quality monkfish tails virtually every day on either Plymouth or Looe markets. 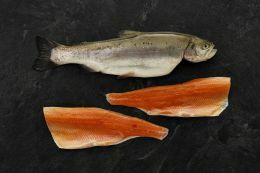 We normally keep 3 sizes: a very small size under 250gm, ideal for starters, or the much larger 1–2kg and 2kg+ tails. 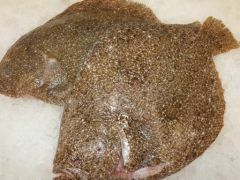 Just starting to fatten up now, we buy whole plaice of all sizes nearly every day, usually on Looe or Plymouth markets. We normally select fish between 300g and 500g as a whole fish portion, and 600g–1kg normally for filleting, but can get bigger fish as required. Gurnards are getting much more popular now and are becoming a New Wave staple. 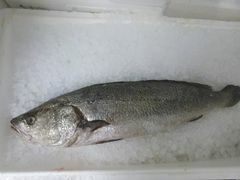 We normally buy fish between 400g and 1kg, but can get larger fish to order. Also known as wreckfish, it's no beauty when on the bone, but the flesh is superb and it can rival the wild sea bass for flavour. These are farmed in Greece and are brought to New Wave usually twice a week. We generally buy the 2–3kg size. Packed in 500g or 1kg nets, all live and with a health mark in every bag, these are a really consistent and increasingly popular product. Fabulous for vongole or combine with mussels for a superb marinieres. 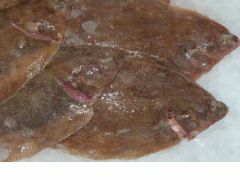 We never buy skate itself, but will normally go for the other species of ray, of which there are many. We would buy dayboat-caught fish, normally 500g + wings, ready for skinning. 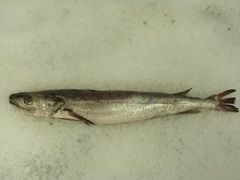 There have been some great recent landings of dayboat-caught pollack on Plymouth market. We generally buy fish over 2.5kg, which will yield that lovely chunky fillet. 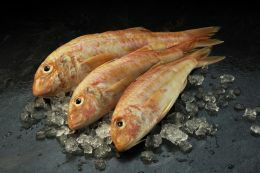 The best red mullet comes from Looe. 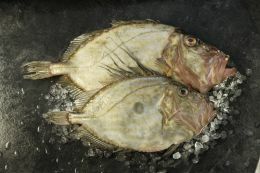 They are about 200-400g, which are roughly main course size, or a fillet as a starter portion. We stock the Loch Duart salmon from Scotland, Var from the Faroes and also a standard Scottish farmed. Our salmon fillets are all scaled, filleted and pinboned at New Wave. We can also cut portions. The wild season starts on June 1st. Catches of bass are always random, so it is difficult for us to put these 'on special', but recently we have been getting bass direct from 2 boats in the Newhaven area. We are also constantly looking at availability in Cornwall and Pembrokeshire. The sizes we normally have are 1.5–2kg fish as well as 2–4kg.